With summer upon us, we are starting to entertain and spend more time outdoors. So while we already don't use any paper products we know we want to be able to have everything we need to travel outdoors and stay there as much as possible. In the past we've used each and every alternative to paper we possibly could. The brand you will most frequently find us using is Cool Gear Inc. Not only have a enjoyed the many opportunities to be an ambassador for the brand but it truly is one which has me and my family in mind. Cool Gear provides all sorts of eco-friendly products that just about anyone can use. They have everything from reusable cups and self filtering water bottles to salad containers and ice blocks for entertaining. Its great see such a variety from a company trying contribute in a fun way to the three R's (reduce, reuse, recycle). "Since 1986, we have been conceptualizing and developing ideas, turning them into products and bringing them to the marketplace. We deliver innovative and imaginative products to the marketplace while providing a 100% customer satisfaction policy." 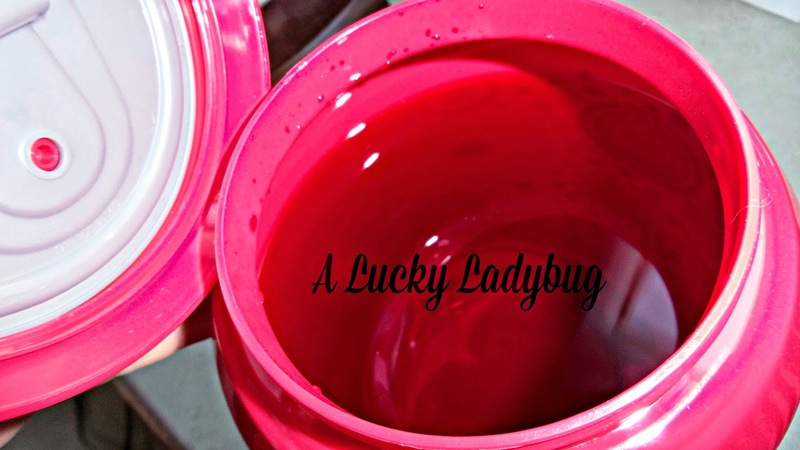 We use our Cool Gear cups for traveling to and from the beaches, poolside, and every where we can think. I was very excited to receive three new and awesome products from Cool Gear recently. 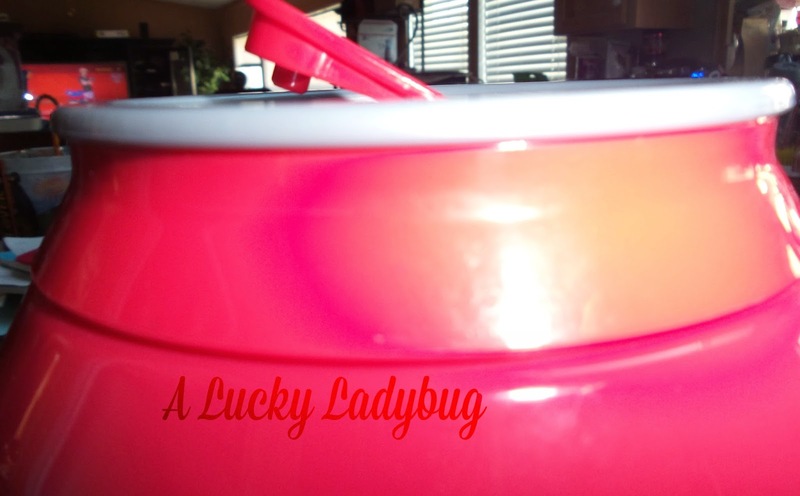 I was sent over the American Flag Mason Jar, Expandable Salad Kit and the BRAND NEW 1 GAL cool gear can dispenser (available in CVS now and Walmart July 1st). 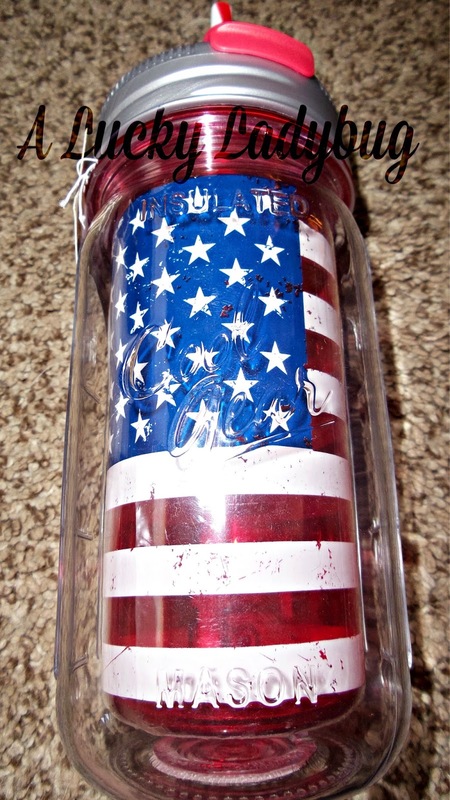 The Mason Jar with Flag graphics is a gorgeous way to sport your american pride! Whats great is it has double wall insulation so I can keep both hot and cold beverages at the correct temps. 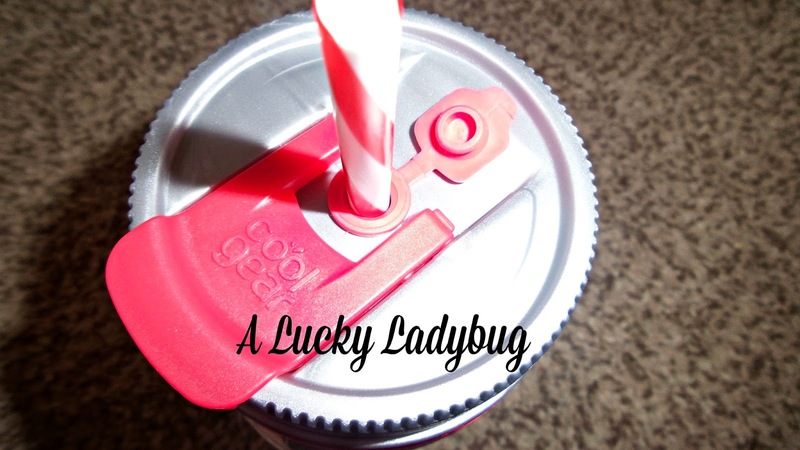 It holds any 16 oz beverage and has that adorable old fashioned mason jar look. I honestly had no idea how awesome the Expandable Salad Kit was going to be until it first arrived. Not only does this kit perfectly hold your healthy meal in place but it compresses after you are done for easier storage. There is a spot for everything including lettuce, toppings, and a dressing container with leak proof cap. Plus you can even freeze the the tray so your meal stays cold throughout the day! Although, Kevin isn't a huge health nut, he does enjoy salads and taking lunch to work. 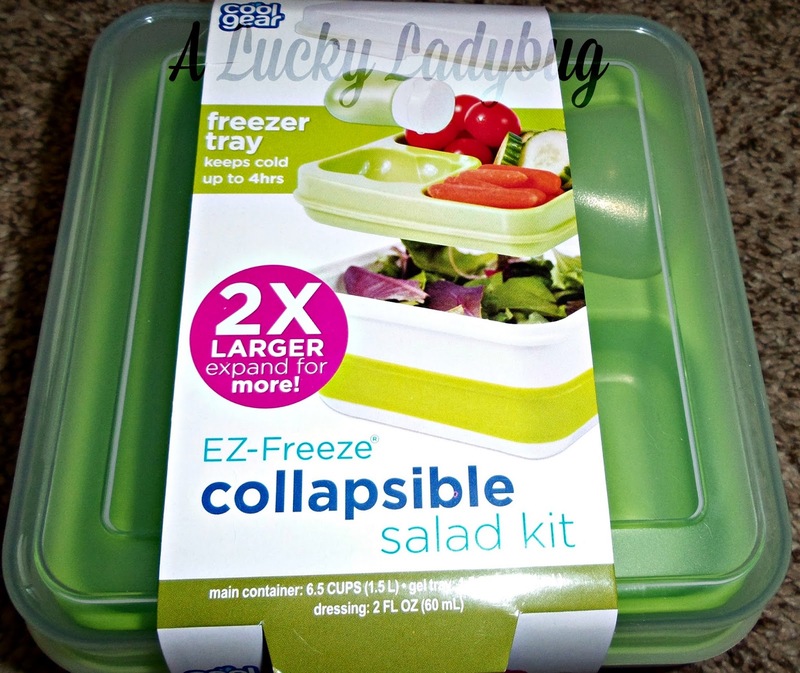 This way he doesn't have to worry about warm lettuce, soggy ingredients from being mixed hours before eating, and he can even use this to bring a good mix of foods by placing each separately in the different compartments. Alana has also used this easily for one lunch on one of her last days of school! These items have been an awesome edition to our Cool Gear supplies but still the best has been the BRAND NEW 1 GAL cool gear can dispenser which isn't even available for purchase until the 1st of July. I barely got this out of the box before the boys were begging me to make Kool-aid in it to take out by the pool! This is an absolutely awesome bulk beverage dispenser design! It looks like you have a massive can of something sitting on your table and even has a pop top for venting the beverages inside if needed. 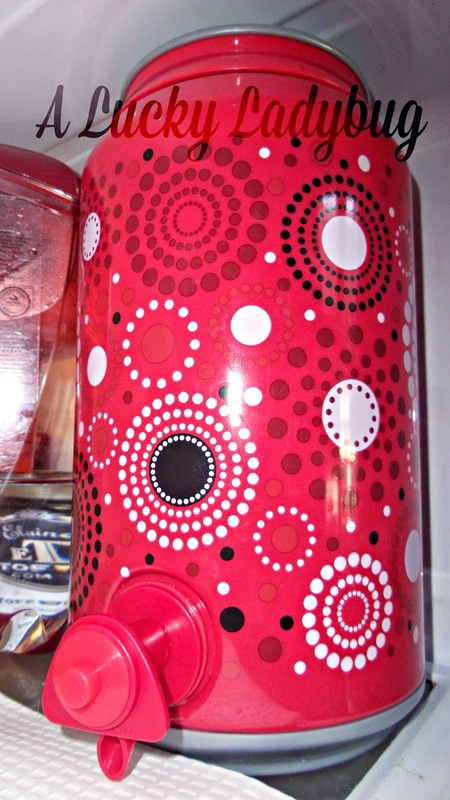 Holding 3.78 liters, you can easily pour yourself AND your friends a cup of your favorite beverage! 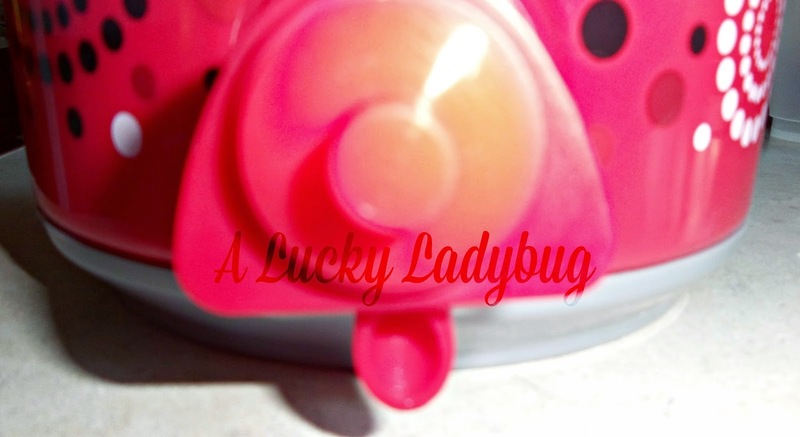 The top screws off and pour spout comes apart to easily clean. My only complaint is that when you stop pushing the pour spout, you need to keep your glass in place as it will continue to pour for another second or two. This can be messy if you have children pouring things for themselves as they don't always plan for the extra drip-age. Regardless, we have fallen in love with this and have been taking it outside to the pool every day since it arrived filling it with Kool-aid or iced tea (and even a few adult beverages). Recommendation: I would recommend these "cool" products to everyone and anyone. Cool Gear not only makes a difference but can also save you money. 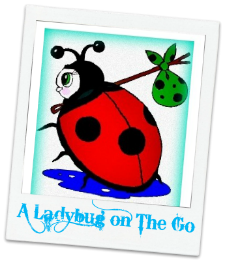 Each time I check out their site they have new creative products for everyone and anyone to use - kids or adults. Over the last few years I have bought myself several other Cool Gear products when I find them in stores. 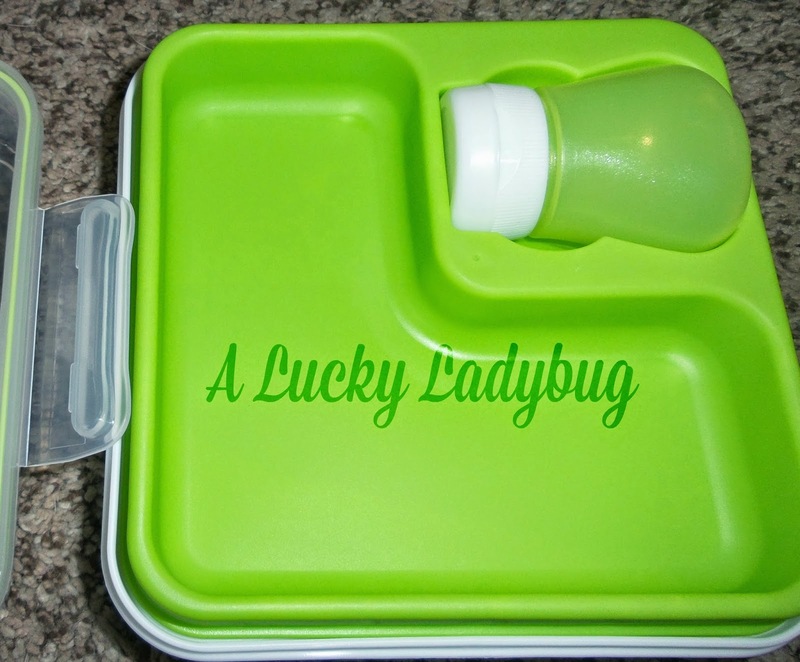 Giveaway: Cool Gear is going to give one of A Lucky Ladybug's lucky readers an American Flag Mason Jar and Expandable Salad Kit of their own to try! I prefer the dry heat in the summer compared to humid heat. Because humidity just makes it unbearable to be outside and generally puts me in a bad mood. 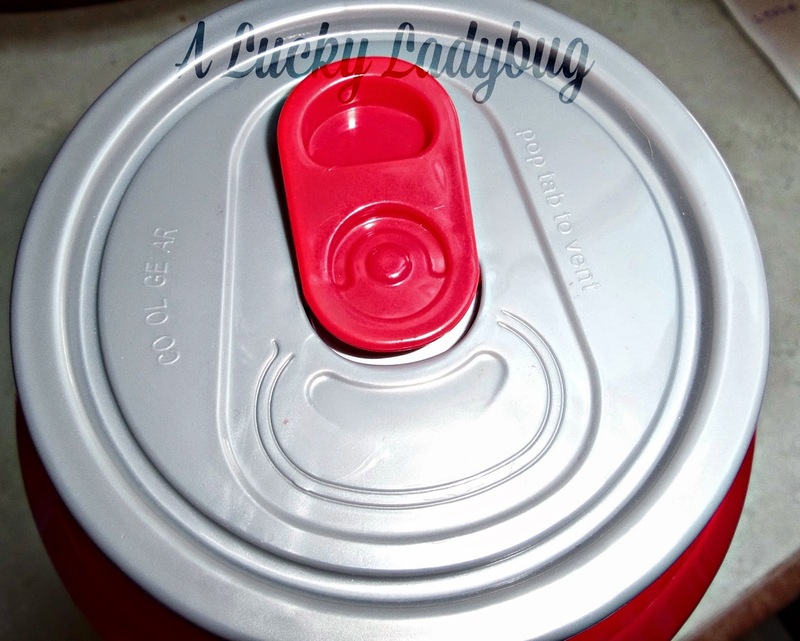 I'm having a problem with my can dispenser pouring really slowly now when it didn't the first couple times I used it. I cleaned it out, in case I got instant tea mix stuck in there, but it's still happening. Has this happened with yours?